American Alliance of Museum Publications Competition - 1st prize, books - Famine Folios: Series 4 (2018). New England Museum Association - 1st prize, books - Famine Folio: Series 4 (2018). The devastation of disease, the pace of death and fears of contagion not only altered the practices of mourning and burial during the calamitous height of the Famine, but have also shaped its visual representation and ongoing patterns of remembrance. Paintings and illustrations reflect on aspects of pre-famine conventions around death, burial and mourning, which drew on a culturally rich and complex range of Christian and Celtic pagan traditions. Later, famine-era images and objects reveal some of the distressing modifications to mortuary and funerary practices during the famine years. Since then, photographic archives, art works, monuments, memorial parks, cemeteries and unmarked burial grounds provide spaces for remembrance across the landscape of Ireland where visitor engagement is informed by competing forces of historical and touristic practices. 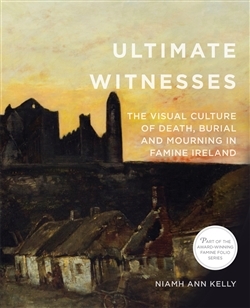 This folio encompasses a cross-section of representational forms and strategies of remembrance of the Famine dead who were, to borrow Giorgio Agamben�s term, the �ultimate witnesses� to that tragic period.